The Legend of Zelda: Breath of the Wild serves as the last game for Nintendo Wii-U and a launch title for Nintendo Switch. 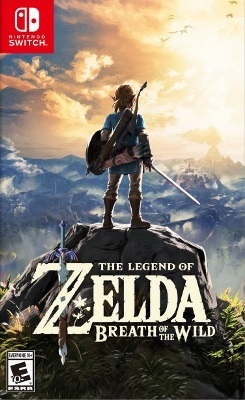 This game goes back to the roots of the first Zelda game in terms of freedom while retaining many themes that connect to later games like "The Windwaker" and "Twilight Princess". Many conventions have been changed to increase the survival component. Following "Skyward Sword", it plays pretty much like Hero Mode throughout the Hyrule apocalypse. This page was last edited on 25 December 2017, at 14:19.